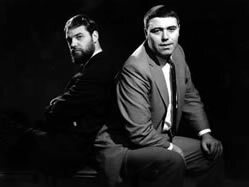 Ray Galton & Alan Simpson are legends amongst comedy writers; icons of British culture. Their comedy focus has always been on the more basic and darker sides of life, and they have tended to ignore the more conventional and boring elements of the British hierarchy and establishment. To be fair the British hierarchy and establishment have done their best to ignore Galton and Simpson too, and it was only in the millennium honours list that they were begrudgingly awarded OBE’s. It seems ironic that much of their humor comes from adversity, as it was adverse conditions that brought them together in the first place. They had both suffered from T.B. 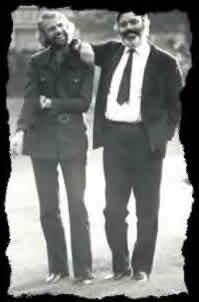 and it was whilst they were both convalescing in Milford Sanatorium that they met. It is not clear how long they were both in the sanatorium, but they way it is explained, leaves you with the feeling that some marriages don’t last as long as Ray and Alan’s spell in Milford. How ever long it was is irrelevant, because it was long enough for them to form a friendship and a working relationship that has kept us all laughing ever since. Their reputation as comedy writers soon grew, and in 1954 they started to write the scripts for Hancock’s Half Hour. They eventually wrote 101 episodes. These have achieved cult status in their own right, and are still broadcast to the current day. It is well documented that Tony Hancock was a troubled character and he begun to become less reliable as a TV and radio performer and so Ray and Alan started to look for alternative work. In 1961 their reputation was so strong that the BBC offered them the opportunity to write a “Playhouse” series where they had the opportunity to write a series of 30 minute comedy dramas about any subject they wanted and using whoever they wanted. This series featured “The Offer” the very first Steptoe episode. Not enough credit is given to Galton and Simpson for their innovation at this time, and the debt that is owed to then by subsequent comedy writers. Although their plays were undoubtedly funny, they took the opportunity to move the whole genre in a totally new direction and use real actors rather than established comedians to play the lead roles. Both Wilfrid Brambell and Harry H. Corbett were well known, respected and established “serious” actors. Galton and Simpson wanted them to play the Steptoe’s and to everybody’s delight; they agreed. The rest is history and this website is dedicated to the work of everybody involved with Steptoe and Son. Galton and Simpson were also founder members of “Associated London Scripts” a co-operative of comedy writers, based above a greengrocers shop in Shepherds Bush, London. Other founder members included Spike Milligan and Eric Sykes. Ray and Alan interviewed Johnny Speight (writer of Alf Garnet) for a position at ASL. They went on to write for such British comedy legends as Peter Sellers and Frankie Howerd. Both Ray and Alan continue to work to this day. You would have though with all those video sales they wouldn’t have to!!! Alan only works on projects involved with Hancock and of course Steptoe. Given that the interest shows no sign of abating, it looks like he’s going to be busy for many years to come. Ray resurrected Steptoe and Son for a stage play "Murder in Oil Drum Lane". The Play tells the story of what happened to Albert and Harold after the TV series ended. It also tries to clear up a couple of continuity disconnects that appear in the original TV series. Although he lent his full support to the project Alan didn't take part in the writing, this time Ray teamed up with an old Associated London Scripts colleague John Anthrobus. 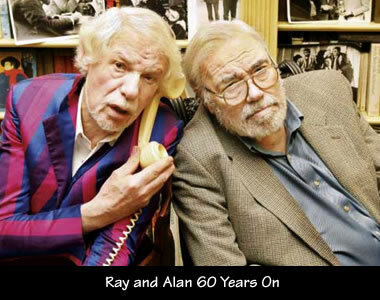 2009 market the 60th anniversary of Ray and Alan in the comedy business. They embarked on a number of TV, Radio and Press interview. To coincide with the event a Comedy Playhouse DVD was released. The BBC also recorded 4 new radio versions of classic Galton and Simpson playhouse scripts. This featured many new and popular comedy stars as well as the perennial June Whitfield.